An energy performance assessment provides information about a building’s energy use, costs and CO2 emissions. It rates the performance potential of the building’s fabric and services (e.g. heating, ventilation, lighting) to produce an overall energy efficiency grade which is displayed on an Energy Performance Certificate (EPC). 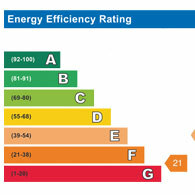 An EPC is required by law when a building is built, rented or sold. Owners of all commercial buildings over 50 square metres also have to provide an EPC when they sell or let commercial premises. A valid EPC and recommendation report must be made available free of charge by the seller or landlord to a prospective buyer or tenant when non-dwellings are sold or let to inform them about the building’s energy performance. Armed with this information they can consider energy efficiency as part of their investment or business decision to buy or occupy that building. Global Environmental provides a cost effective and responsive energy assessment service for commercial properties. We have accredited energy assessors who can survey every type of property from small buildings to SBMs, large office buildings, retail premises and manufacturing facilities. All our assessors are trained in how to behave in occupied premises so the assessment need not involve major disruption or disturbance to its occupants. Our report will contain the EPC and recommendations for reducing the amount of energy the building uses e.g. insulation, and gives the possible cost savings per year, payback timescales and how any improvements would change the energy and carbon emission rating of the property.